Excelsior Geyser Crater is what is left of the Excelsior Geyser. At one time it was known for eruptions that were 100-300 feet high and just as wide. In 1888 Frank Hayns captured an image of the geyser erupting. As the years passed the eruptions stopped and the Excelsior Geyser Crater is now more of a hot spring. 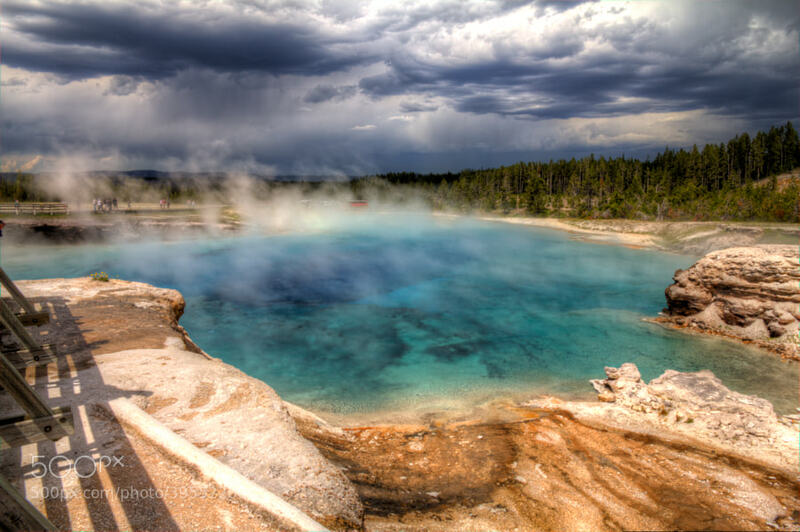 It pumps more than 4,000 gallons of water into the Firehole River every minute. Even though there are no more eruptions, the Excelsior Geyser Crater has a beautiful blue hue thanks to the temperatures of the water that inhibit bacteria growth. Is It A Buffalo Or Bison?